Cocoon Cam is a next gen wellness baby monitor that uses infrared, computer vision and machine learning to track your baby's health. 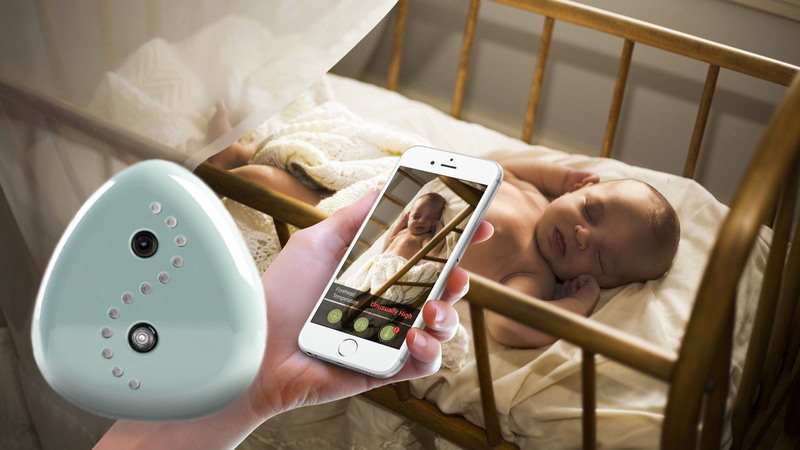 The camera one ups existing baby monitors as it is able to track your baby's presence, position, skin temperature and even heart and respiratory rates, from four feet away, based on Cocoon Cam's algorithms. There are no wearables to attach and no invasive microwaves emitted into the room. The system consists of a $299 baby camera and monitor and a $9.99 subscription to Cocoon Cam's software, based on Dropcam's business model. The companion smartphone app provides you with both video and your baby's vitals so you will get an alert if the baby's temperature rises or if he/she is sleeping in an incorrect position e.g it if the baby rolls onto its tummy. If the mysterious (patent pending) tech sounds too good to be true, Cocoon Cam says it is currently partnering with health scientists and clinicians at the University of San Diego, California and MIT to validate the accuracy of its unconventional methods. Its goal is to create a baby monitor so accurate that it can be used in neonatal intensive care units but though it's aimed at first time parents and perhaps fathers who want to stay connected to their baby, there's a few other use cases in the pipeline. "We're also been asked to use our technology to help caregivers with geriatric care," said Cocoon Cam CEO Rubi Sanchez during her SXSW Accelerators pitch. "We'd be willing to do a pilot but for now, we have to be focused. We could also use our tech to help correctional facilities to track people who might harm themselves." As for mothers and fathers to be, you can sign up for updates at the Cocoon Cam website where you can find out when pre-orders will begin.